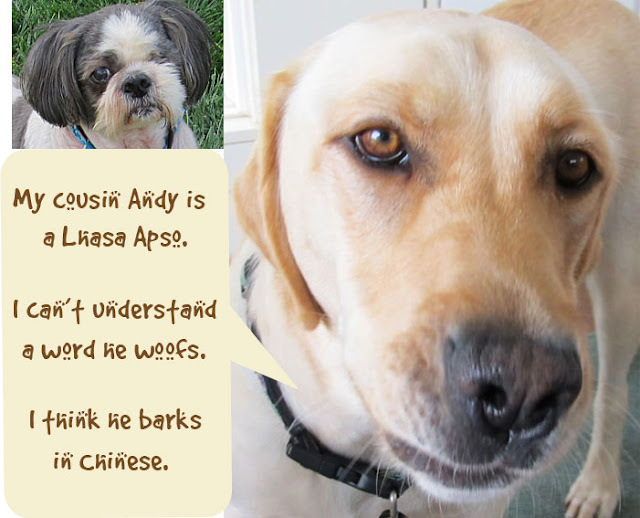 Talking Dogs at For Love of a Dog: Wordless Wednesday: Speak English, Dog! Wordless Wednesday: Speak English, Dog! Ha!Ha! That would be a problem Rudy. The next would be figuring out if his chinese is Mandarin or Cantonese! LOL! Ha-ha! That is so cute!